Do exercises for knee pain really make a difference? The answer is a resounding yes! There are a huge number of different causes of knee pain, but in virtually every case exercises will really help. Improving the strength and flexibility of the leg muscles changes the support around the knee and how the forces travel through the joint. Better support and better weight distribution helps to reduce pain and improve function. It is easy to get disheartened when you have pain and to think that it's never going to get better, but that is very rarely true. So take control of things today and get back to doing what you love. There is something here for everyone. Not only will you find a whole range of tailored programmes for all causes of knee problems, there's also loads of great advice on how to exercise safely and my top tips on getting the best results. Each of these exercises for knee pain comes with easy to follow instructions including videos and pictures so you know you are doing them correctly. If you don’t know where to start, I suggest trying the beginners set first and progress on from there. Tight muscles are a common cause of leg pain. When there is tightness, it increases the tension on the knee, affects how it moves and how forces go through the joint. Stretching exercises for knee pain can make a big difference. In the knee stretches section, you can find out the best way to stretch safely and effectively - how to get the maximum benefit for the minimum effort! You will also find simple tests that you can do at home to see if your muscles are indeed tight. This is a great place to start whether you are recovering from an injury or surgery or have been getting niggles of pain and weakness. You can start with the beginners programme and then once you are happy with those, progress on to the intermediate level and finally the advanced programme. There are easy to follow instructions with videos and photos to help you get the most from these exercises for knee pain. If your problem is not listed here, don't worry. 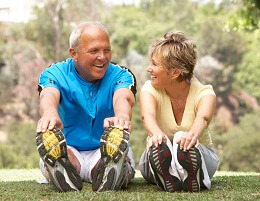 It just means that the general programmes of exercises for knee pain above should be suitable for you. One of the most important things when treating pain is to know what is causing the problem so it is really important to see your doctor for an accurate diagnosis. Then you can start on a tailored rehab programme specific to your condition. 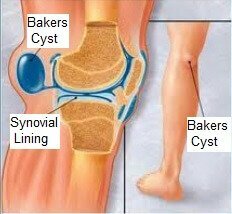 If you are unsure what is causing your pain, visit the knee pain diagnosis section. How Do Exercises For Knee Pain Help? When doing exercises for knee pain, it is vital that you are working at the right level for your problem. If you overwork an injured knee, you could cause more damage. But if you don’t work it hard enough, you won’t build up much strength or mobility. See the exercise overview for guidance on how hard to push yourself. I find one of the biggest barriers to regularly doing exercises for knee pain is motivation. People usually start with great intentions but after a few weeks, they get a bit bored, and stop, particularly if the pain has started to improve. Visit the Getting the Best Results section for my top tips on how to stay motivated, how to progress your exercises for knee pain and how to ensure success! It usually takes a good few weeks to notice much change as muscles gain strength much more slowly than they lose it unfortunately. Perseverance is key! Choose from one the exercises for knee pain plans above to get you started, and aim to do a little bit each day. If you are not sure what is actually wrong with your knee, visit the diagnosis section for help working out what is causing your pain and what you can do to make it better.